The fish of genus Acipenser (sturgeon) is characterized by the following features: longitudinal rows of bone shields do not merge with each other on a tail; the rays of a caudal fin bend around the tail end. The sturgeons have the extended, spindle-shaped body structure. Skin of fish is covered with bone plates, so-called bugs which are located along a body in five rows: one is in the middle of the back, two are on the lateral lines and two are on a belly. The sturgeons have the cartilages instead of a bone skeleton, and a chondroid chord (notochord) instead of a bone spine. The sturgeons contain a significant amount of fat located between the muscles. Intermuscular layers of fat influence the taste of sturgeon fish favorably. Despite the fact that the sturgeon meat is white, this fish is called red. In this case the term «red» is used in its old sense when the word «red» was a synonym of beautiful and valuable. As for cooking, in addition to the excellent quality of meat, the sturgeons have some great advantages. They give a very small amount of inedible parts (no more than 14%) because the cartilages of which a head and a skeleton, and also a spinal chord generally consist, are used in food. The boiled cartilages are added to rassolniks and satlworts, and from a notochord vyaziga is prepared (a notochord without the internal cartilaginous weight, cut lengthways and dried up) which is used as a stuffing for pies, rasstergais and kulebyakas. Another important advantage of the sturgeon species fish is the smaller weight loss after the thermal treatment comparing to the other fish species. 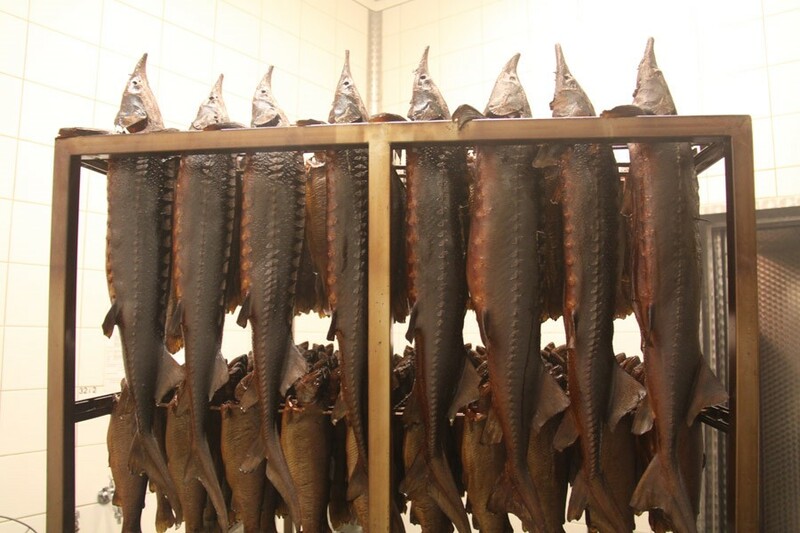 The boiled, fried or baked sturgeon fishes for hot food or cold appetizer are deservedly considered as tasty and nutritious food. 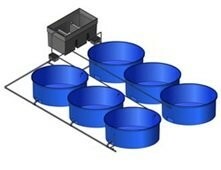 Sturgeon young fish goes to the farms for its further growing and it is a precious commodity. The sturgeon industry is not only about caviar. A high-quality glue and a beer and a wine clarification tool are made from the sturgeon swimming-bladder. 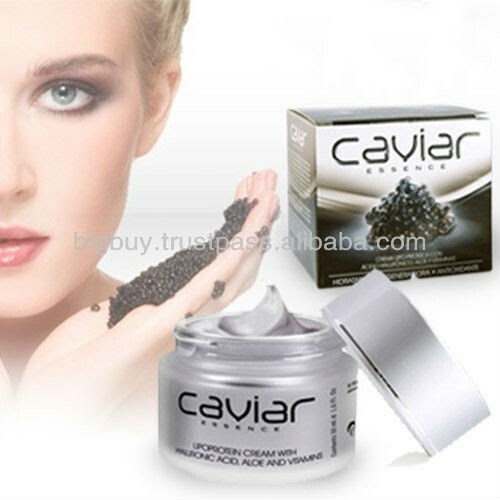 The caviar itself is not only for eating, it is also used in the cosmetics manufacturing for the first class masks and creams. They say that the sturgeon caviar which is used in the skin-care products stimulates the collagen and elastin and prevents the wrinkles.